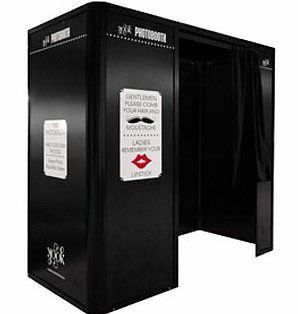 The Look provide bespoke, stand out booths for your corporate events and private parties. Try the Deer Hunter for a bit of country chic or the Retro Booth for some 1920’s glamour. All booth hires come with a friendly booth butler and unlimited prints. Their booths also come with beauty lighting and a wind machine! Choose from their range of amazing extras including personalised guest books and themed props boxes. Our booths have been thoughtfully designed by our in-house team. Each one crafted to ensure stylish design, smooth functionality and unbeatable picture quality. 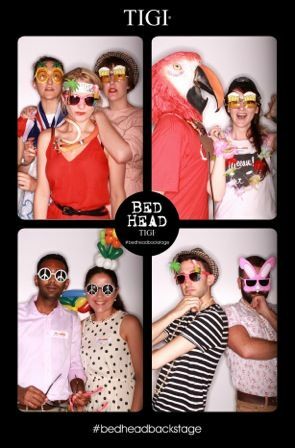 All photo booths come with beauty lighting and a high-end digital camera for exceptional images. 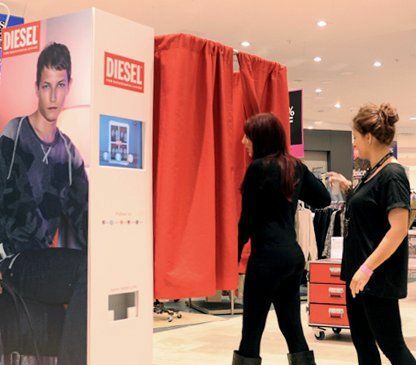 Some booths also have special features such as touch-screen operation, a wind machine and the ability to upload instantly to social media. 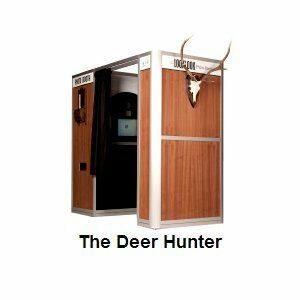 The Retro and Deer Hunter Booths measure 2m high x 2m long x 1.2m wide and can fit up to six people. 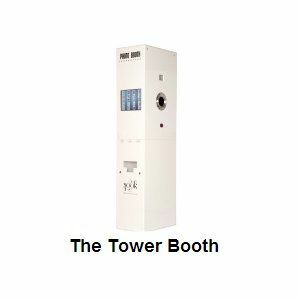 The Tower Booth measures 2m high x 60cm wide x 40cm deep and can fit up to ten people using the free-standing back drop. All the booths require just one power outlet and sufficient cover if being placed outside. 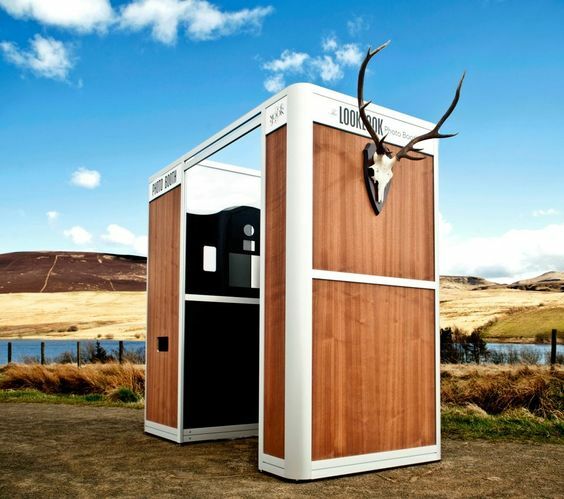 This is a stand-out photo booth. Made entirely of wood for the style conscious, this booth is decorated with authentic deer antlers for a touch of country-chic. It comes with a wind machine and can fit up to six people. This booth is a socially integrated powerhouse. 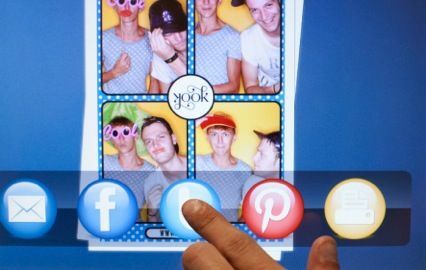 This glossy white booth is a compact size suitable for any space and has the ability to share photos instantly via email or on social media such as Facebook and Twitter. 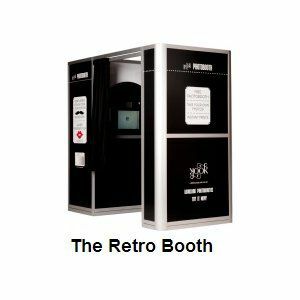 Styled on the original photo booths from the 1920s, this sleek black and white booth combines function and style with a high-end digital camera, touch screen and even a wind-machine! The booth can fit up to six people.